SSC has released Admit Card notification for SSC MTS Tier-II which is scheduled on 28-January-2018. Download your Admit Card from the regional websites of Staff Selection Commission (SSC). SSC MTS 2016 Tier-I Result was published on 26-January-2018. 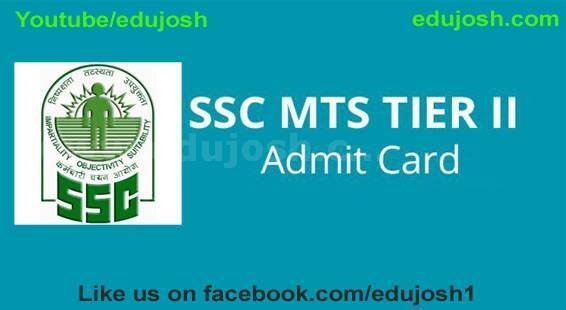 Selected candidate are requested to Download the Admit card & appear in SSC MTS Tier-II examination. Other regional websites will publish the link to download SSC MTS 2016 Tier-2 admit card soon. We will update once they released.